Thanks to Pamela Collett for this great suggestion! 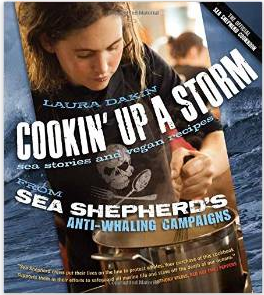 Cookin Up a Storm: Sea Shepherd Vegan Cookbook is a great cookbook that by luck I borrowed at Kingston Library. At Paperchain book shop in Manuka, they looked it up on line and said it does not yet have an Australian distributor. Highly recommended. I’ve tried 5 recipes… all delicious! Click here to request or find the details of the two ACT Public library copies.